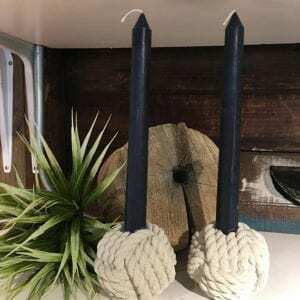 Our Maine Cedar Candle Holders were inspired by a good friend and colleague of mine that has a great artistic vision for home decor and accessories. 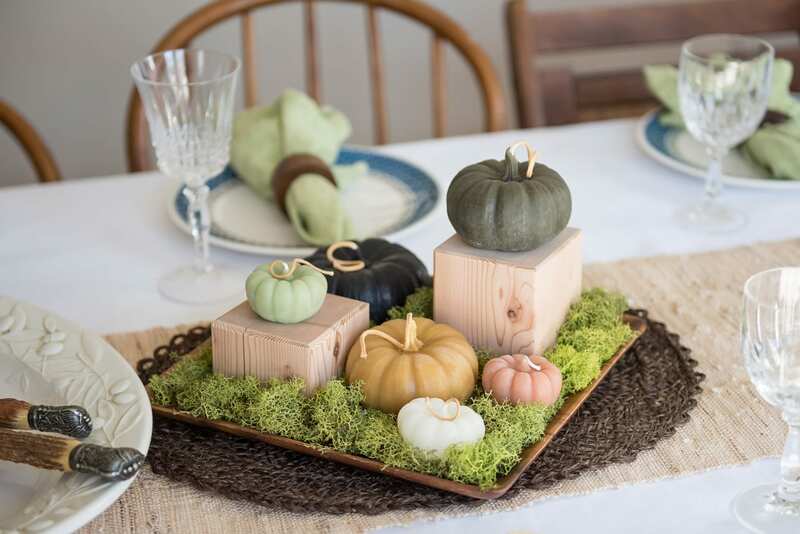 We came up with the idea to create a candle holder that would serve many sized candles, air plants, succulents and much more! 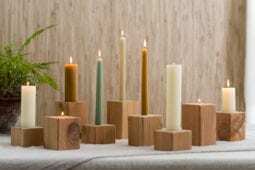 Our cedar holders can hold our beeswax Taper candles, our beeswax Tea Lights and our Seapoint beeswax Columns. 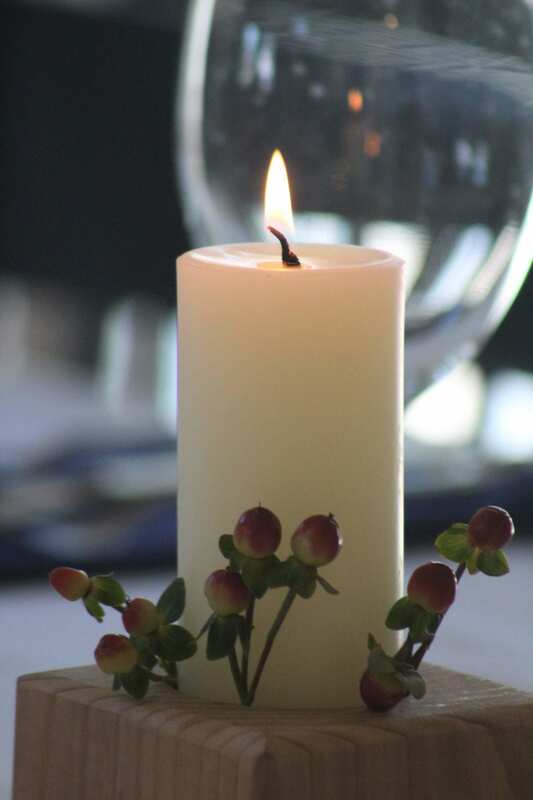 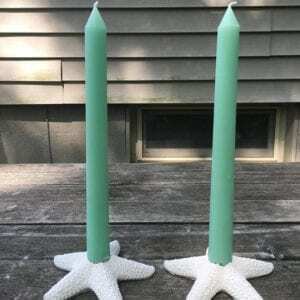 They are also a great way to show off our Nautical Collection beeswax candles and our Succulent candles. 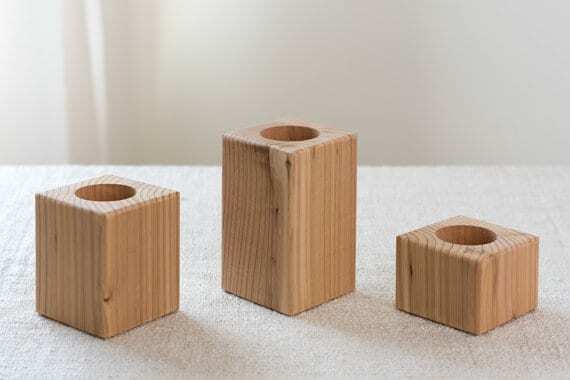 Our set of three Maine Cedar Holders consists of the sizes 2.5 x4, 4 x4, and 5.5 x 4. 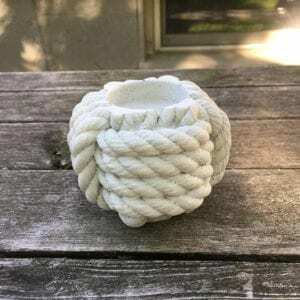 Each cedar holder is hand sanded for a finished look and can be used indoors or outdoors. 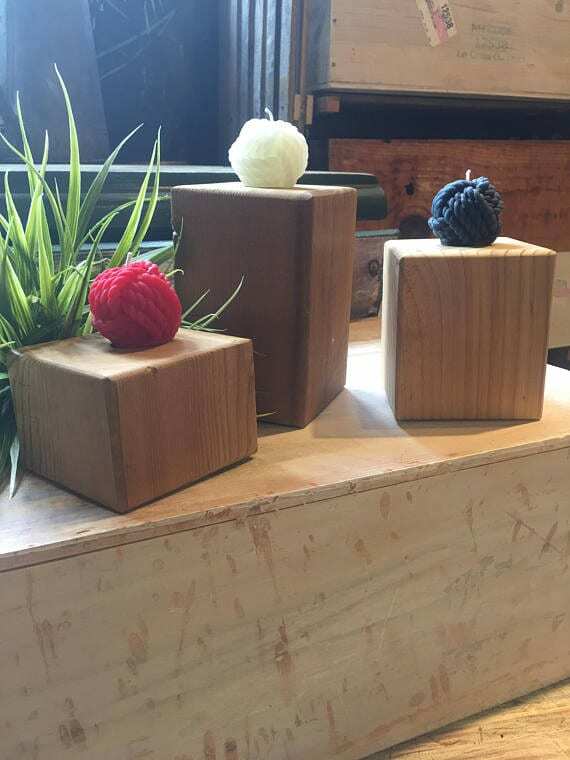 If used in the outdoors it will eventually develop that beautiful natural weathered look that occurs to cedar over time when exposed to the natural elements of the outdoors. 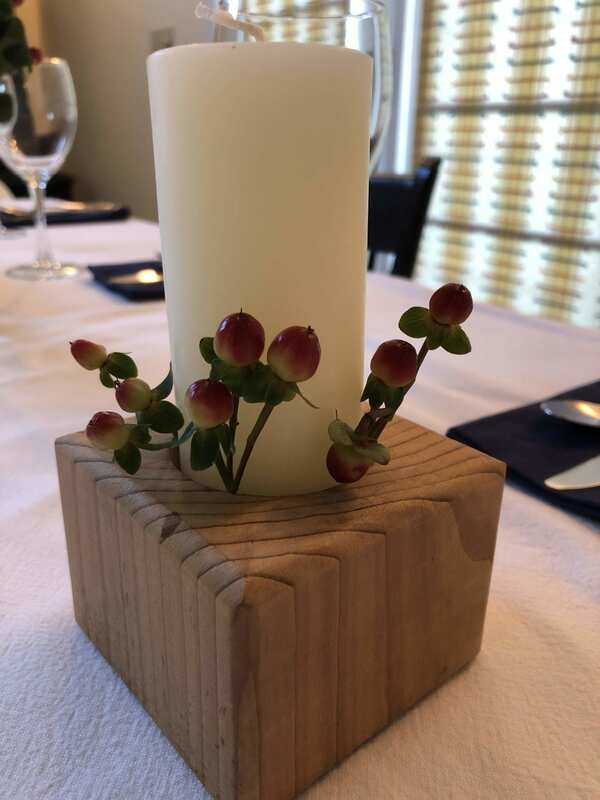 Accompanied with our tapers, tea lights, and columns these handmade cedar holders make a great wedding gift or a fabulous addition to any tabletop or mantle!